Fairies in the Spring Description: The king is having a water park constructed to help his subjects cool off in the summer heat, when water monsters attack the construction crew. 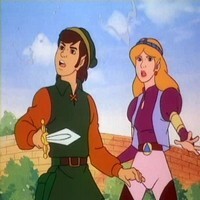 Zelda and Link investigate, but are startled to find the water monster doesn't belong to Ganon. When the King arrives to check their progress and while inspecting the pools of the water park, another monster pulls him in and vanishes. 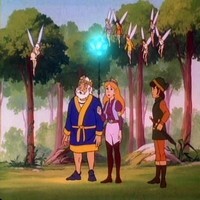 The pair collect the Triforce of Wisdom and return to the waterpark to find the King and the source of the disturbances. Page rendered in 0.236 seconds.